In the wonderful world of whisky, I have a few obsessions. Young Glen Grant from ye olden dayes, Laphroaig 10yo (thank you Mr Forbes), well-aged grain whisky (developed at this session, under the watchful eye and generous pouring of Mr Storry), Laphroaig (again) and pretty looking minis (it’s only a matter of time before I become a mini collector – pray for my soul). But, the strongest of the lot is a love of whisky from Ledaig. It’s become quite well known amongst my circle of whisky buddies that I’m fond of a drop of the stuff, so day #9 of this increasingly ill-advised advent calendar project is a dram I was given for my birthday – a Cadenhead’s Ledaig 1992, bottled at 21 years old. These days, Ledaig is the name of a make rather than a distillery: made at Tobermory on the Isle of Mull – known as Ledaig distillery when it opened and at various times since – it’s the smoky variant of their spirit. Owners Burn Stewart are for the most part a blender, making Black Bottle in the UK as well as a number of other brands around the world, and with three distilleries not known for their smoky spirit in their portfolio – Bunnahabhain (one of the two regularly unpeated Islay whiskies), Deanston and Tobermory – they needs to get the smoky components of their blends from somewhere. 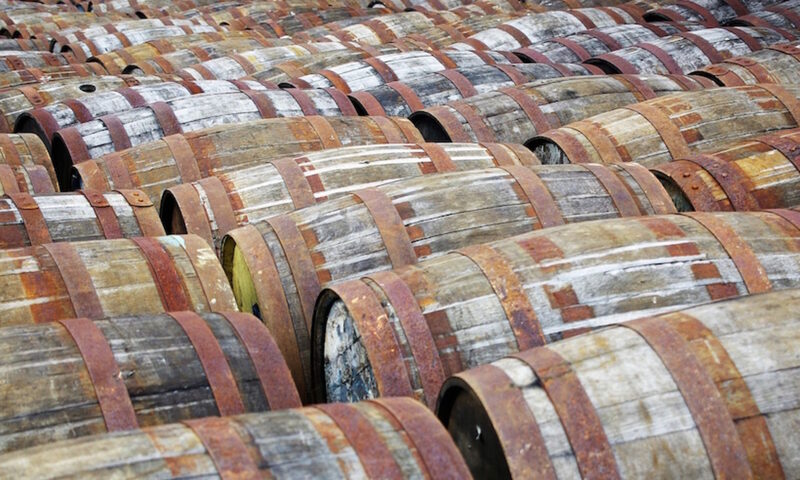 While I’m sure they trade casks with other companies and could get most of their needs that way, they’ve sensibly gone for the make-it-yourself option, switching to peated runs at both Bunnahabhain and Tobermory. Ledaig has been on the market in its current, smoky state for years, although the old, NAS peated edition that was on sale until recently in supermarkets is almost universally disliked – not by me, however – and it’s only in its more recent age-statement and higher strength form that its started to pick up admirers. Older bottlings, mainly independent bottlings, are from the previous incarnation of Tobermory, when the distillery was still called Ledaig, and these are generally much less smoky. They’re still often excellent, and I have a bottle of 1974 Ledaig hidden behind my monitor at work in case of emergencies, but they are quite a different prospect to the smoky monsters of recent times. 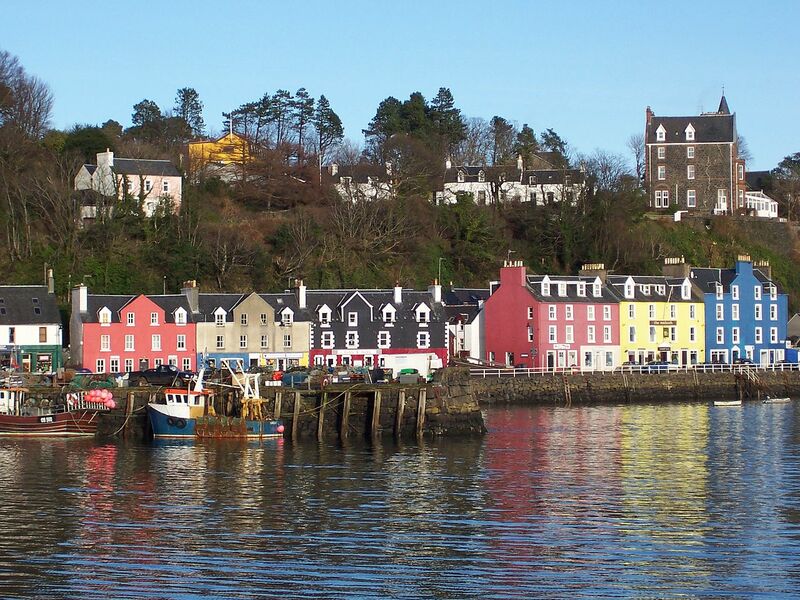 Tobermory is a very pretty town. It’s also where they filmed Balamory, the launchpad of comedian Miles Jupp’s career. He does the News Quiz now. I’m not very good at writing image captions. Ever since Berry Brothers released a four-year-old, 2005 vintage Ledaig back in 2010, there has been a bit of a buzz around young smoky whisky from Tobermory, especially if matured in sherry casks. I was fortunate to have a sip of that fabled 2005, and it put me on a path of mild obsession. Since then, I’ve been through a number of bottles of Ledaig, both youthful and in their teens, including helping select one as a special edition for Dramboree in 2014 which went on to win Best Island Whisky under 10 Years Old at the Independent Bottlers Challenge. In short: I like the stuff. Nose: Spice, vanilla and lemon – this isn’t one of the modern smoky drams. Sweet but sharp lemon drizzle cake, candied lemon segments and a hint of green leaves: ferns and pine. Some creamy notes develop: cream cheese icing and white chocolate. The sweet/sour thing sits underneath everything, with rhubarb and custard sweets, and Refreshers chews. Palate: The citrus from the nose is still here, but buried underneath oak. Not dusty wood, but sweet and sappy, with soft spice – aniseed and nutmeg – a touch of apple and vanilla, and a little bit of barrel char at the back. As it sits in the glass, it picks up some oily richness – melted butter, butter icing and some plump sultana fruitiness. Finish: Quite green, with the ferns from the nose joined by some mint. As that fades, it leaves at first sweet grain, dusty oak and a touch of fruit, before becoming gently bitter with barrel char and liquorice root. Very much Ledaig of the old school – there’s probably peat involved, but there’s not a lot of smoke. The spirit has added some green and grassy notes, but it’s the cask that has done most of the work here. There are lots of classic American oak flavours as well as layers of wood and spice. Fortunately it was a good cask bottled at the right time and things aren’t unbalanced – a little bit longer and this would have gone way too far into woodiness for my liking. Cadenhead’s Ledaig 1992, 21yo, bottled 2014. Island Single Malt Scotch Whisky, 53.6%. Sold out – went at auction for £80 in April 2015.